Federal Skilled Trades Program - how & What? Federal Skilled Trades Program – how & What? Canada is one of the best countries in the world. There are a number of reasons why Canada is such a great place to work and live. Canada provides high-quality education and Canadian citizens have a positive attitude about Immigrants. Recently the U.S. News and World Report declared Canada as the Second-Best Country in the World for an Immigrant. 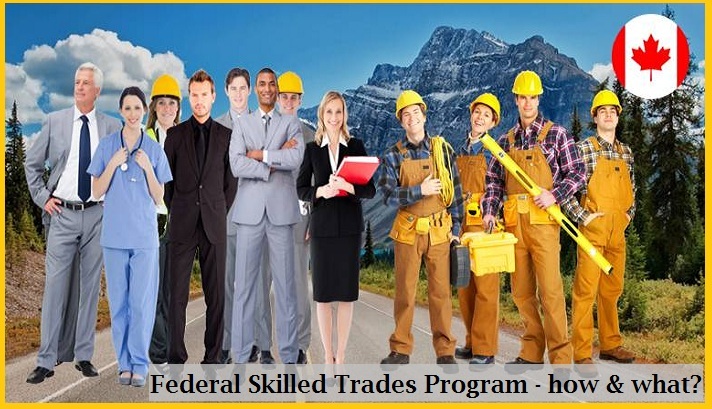 Canada has many immigration programs for Immigrants; Federal Skilled Trades Program is one such program. The government of Canada started accepting applications under this program from January 2nd, 2013. Since the introduction of Express Entry program, Federal Skilled Trades Program is also covered under Express Entry. The documents will vary as per the profile of the applicant. • Minor Group 633, butchers and bakers. • You should have minimum 2 yrs work experience in the skilled trade. • You should have a certificate of qualification in a skilled trade issued by a Canadian province or territory OR an offer from Canadian employer for the duration of at least 1 year in a qualified skilled trade. • You should have language proficiency in one of Canadian language, either English or French. • You should be able to show the experience and skill deemed to be qualified for FST.